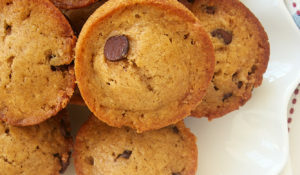 Who doesn’t want dessert with less fuss? These single layer cake recipes are designed to make cake baking simpler while still giving you irresistible results. As much as I love the beauty of prettily decorated multi-layer cakes, the truth of the matter is that they’re just not my thing to bake. 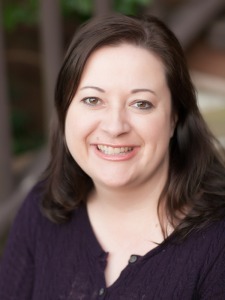 Sure, I’ll make one from time to time, but I’m far more likely to whip up a simple single layer cake. Just because there aren’t multiple layers with fillings and frostings doesn’t mean these aren’t beauties in their own right. 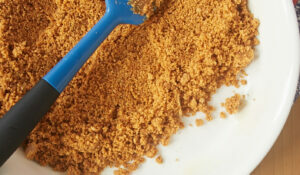 These cakes are great choices for those times when you want a fabulous cake without the fuss. 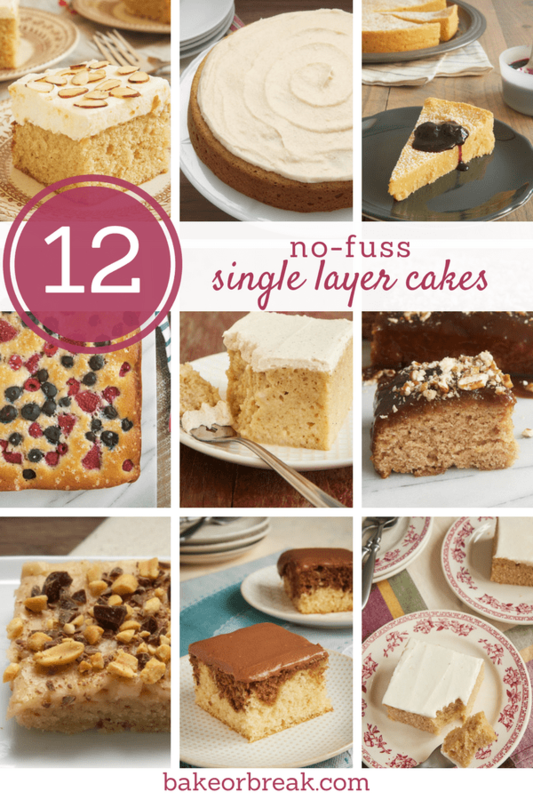 If you crave a little simplicity in your cake baking, too, then this collection of one-layer cakes is for you! 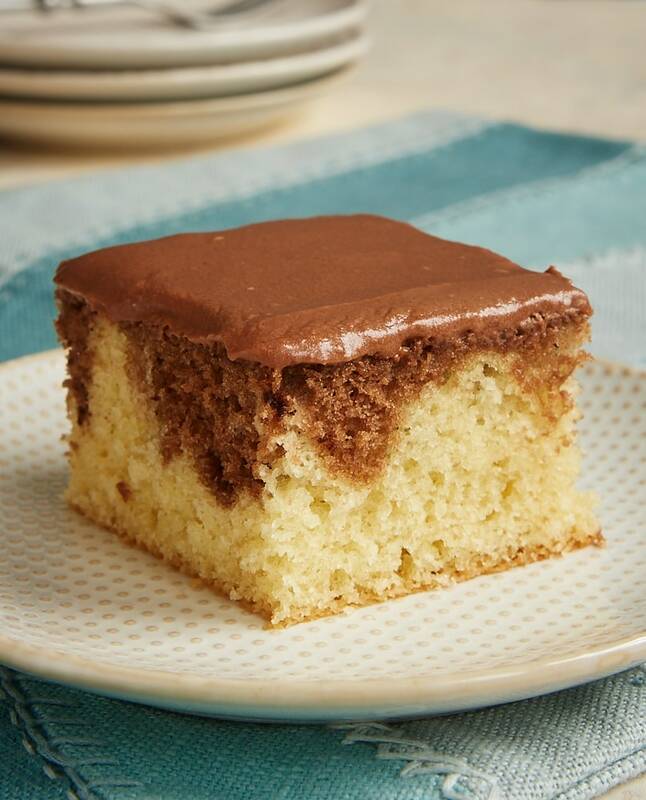 I just love this hazelnut twist on classic chocolate-vanilla marble cake. Use your favorite chocolate-hazelnut spread for the flavor twist in this Chocolate Hazelnut Marble Cake. Top with a simple chocolate frosting, and you’ve got a pretty, swirly, delicious dessert! 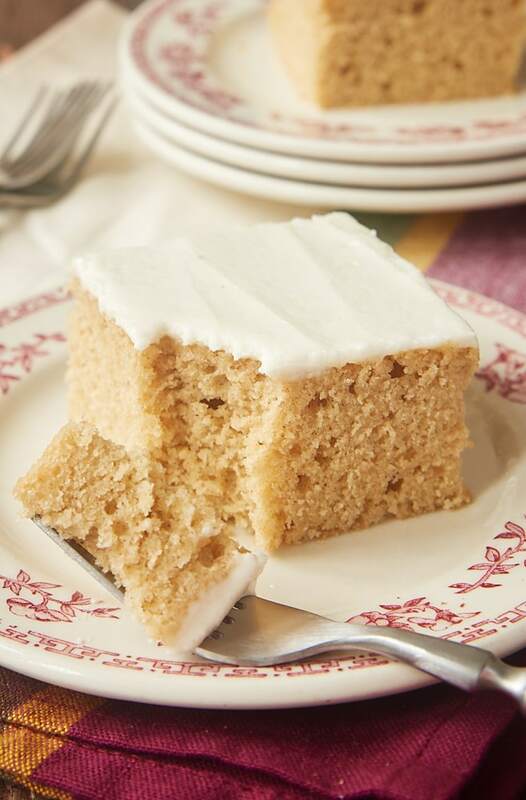 Lemon Almond Butter Cake is one of the most popular cake recipes I’ve ever shared on BoB. 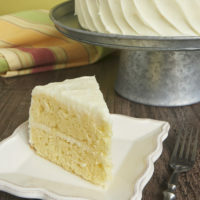 Homemade or store-bought lemon curd adds lots of big lemon flavor to this easy cake. 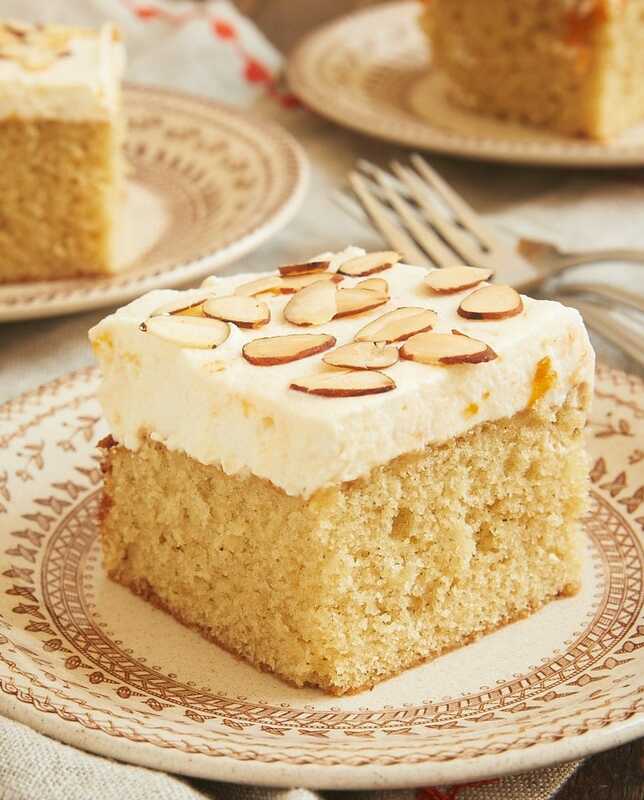 This Brown Butter Almond Cake with Apricot Whipped Cream is really just lovely. 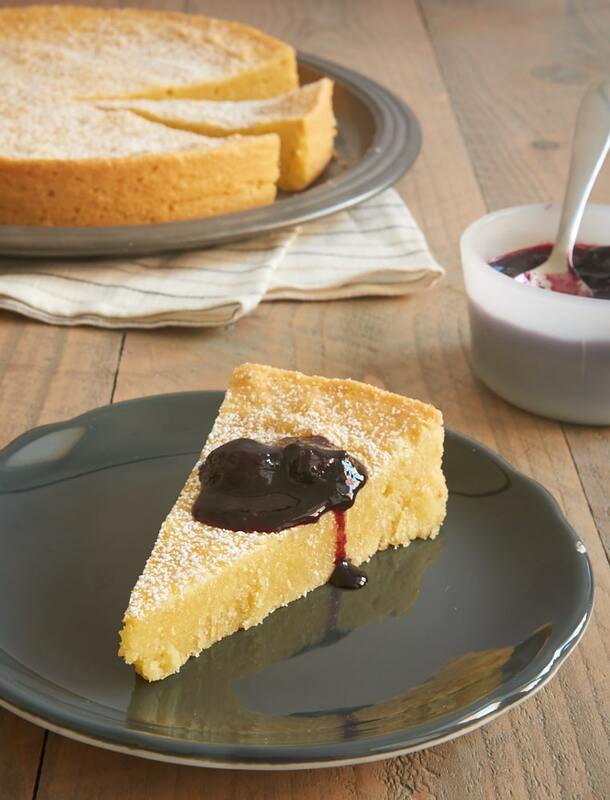 The soft, delicate cake is topped with a thick layer of whipped cream that gets a flavor boost from apricot preserves. Top that off with some almonds, and you’ve got one fantastic cake! This Cinnamon Pudding Cake and its sauce bake all at the same time. When it’s ready, just flip it onto a serving plate and top with nuts. It’s like baking magic! 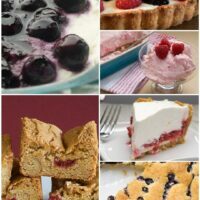 I go a little berry crazy once the season hits, and this Berry Vanilla Cake is a wonderfully easy and tasty way to use up whatever berries you may have on hand. 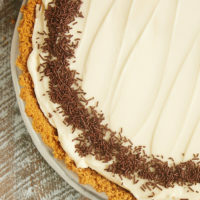 Serve it just as is or add a dollop of ice cream or sweetened whipped cream to each slice. Two classic cakes meld into one spectacular Tres Leches Rum Cake. Of all of these cakes, this one will likely take the most time to make, but that’s just time spent spooning all that good stuff on top of the cake. 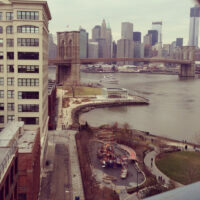 Totally worth every minute. It’s wonderfully moist and delicious. Definitely worthy of a special occasion! When it comes to all-out chocolate desserts, it’s pretty tough to beat this Easy Chocolate Torte. 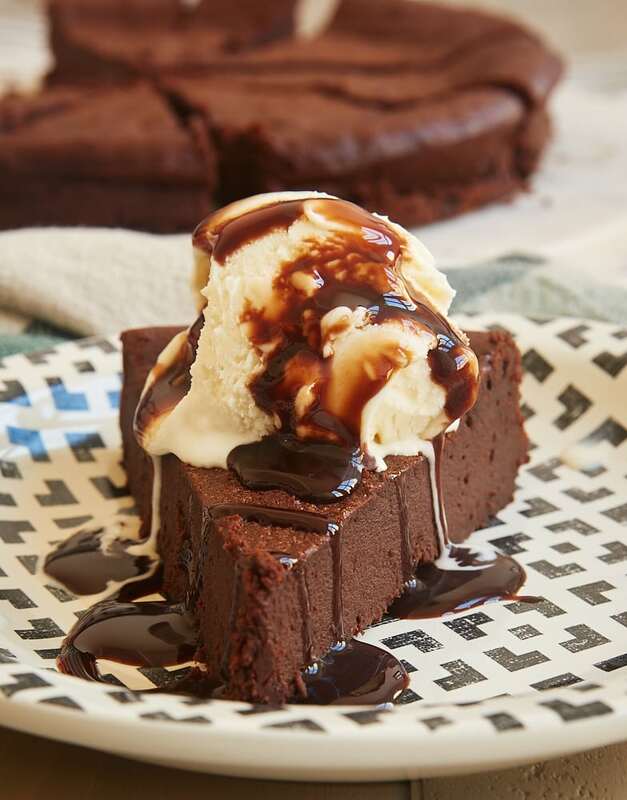 It’s so wonderfully rich and fudgy that it’s sure to be irresisible to chocolate lovers! 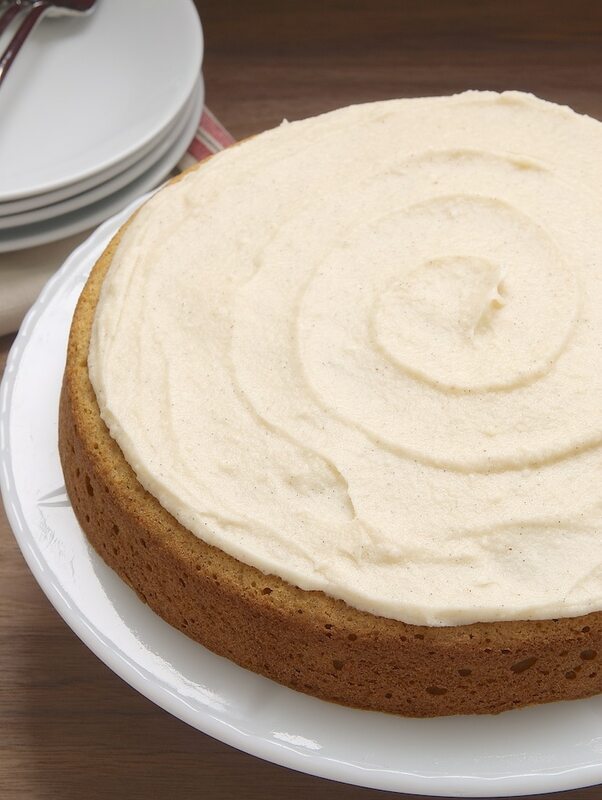 I’ve always had a soft spot for spice cakes, and this Spice Cake with Brown Butter Frosting is no exception. I’m a big, big fan of this frosting, but try a cream cheese frosting for something a little different. 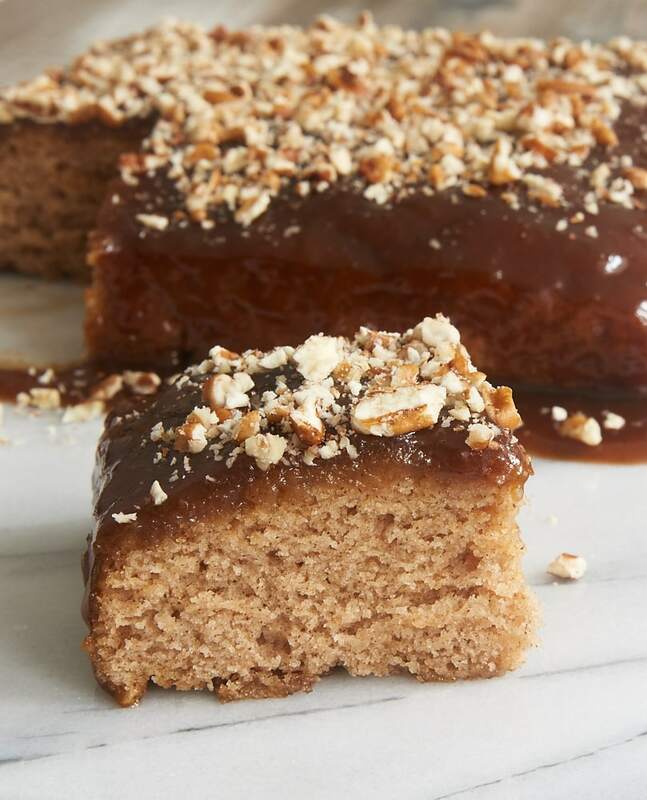 No single layer cake collection would be complete without a Texas sheet cake, and this Peanut Butter Texas Sheet Cake is one of my favorites. 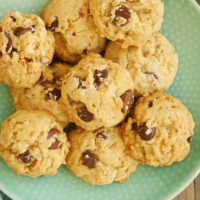 I like to top it with a bit of chopped chocolate along with some peanuts, but you can omit the chocolate for an all-in peanut butter experience! 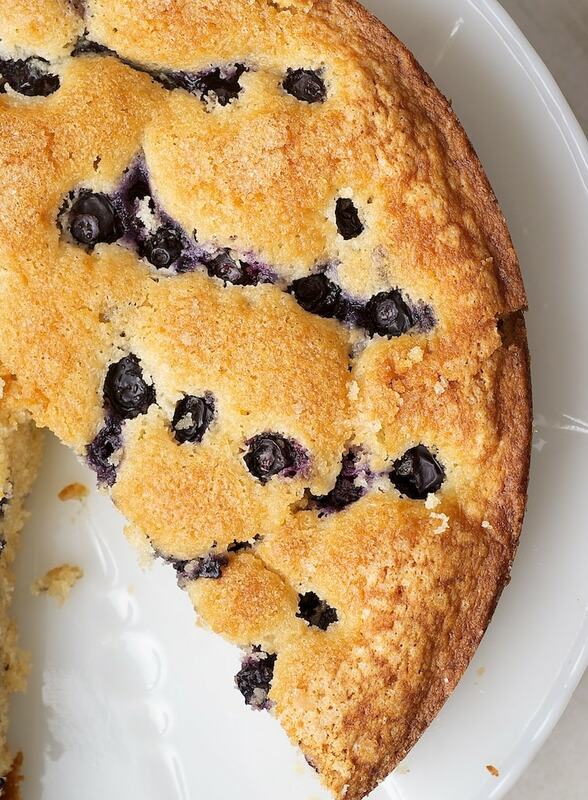 You can use any kind of berry you like for this Simple Blueberry Cake. 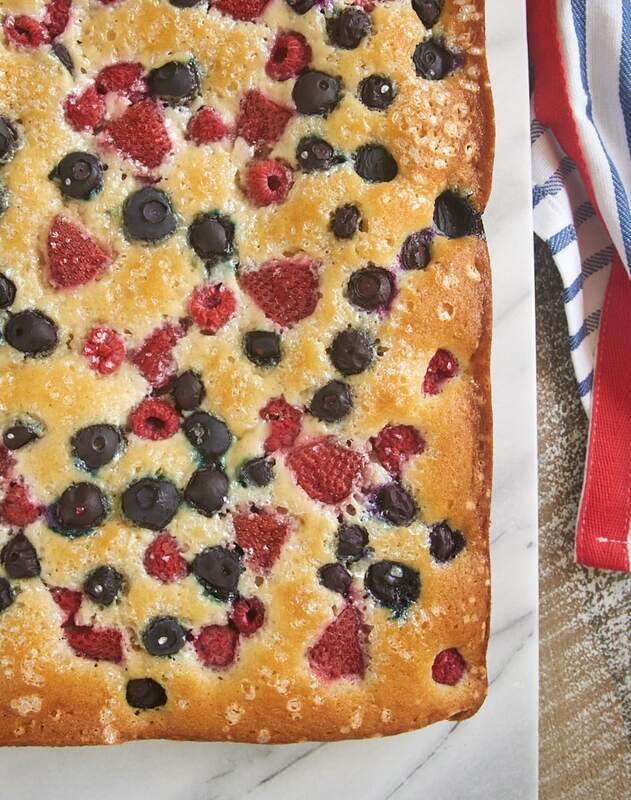 This is the kind of quick and easy cake that you’ll find yourself making again and again during berry season. 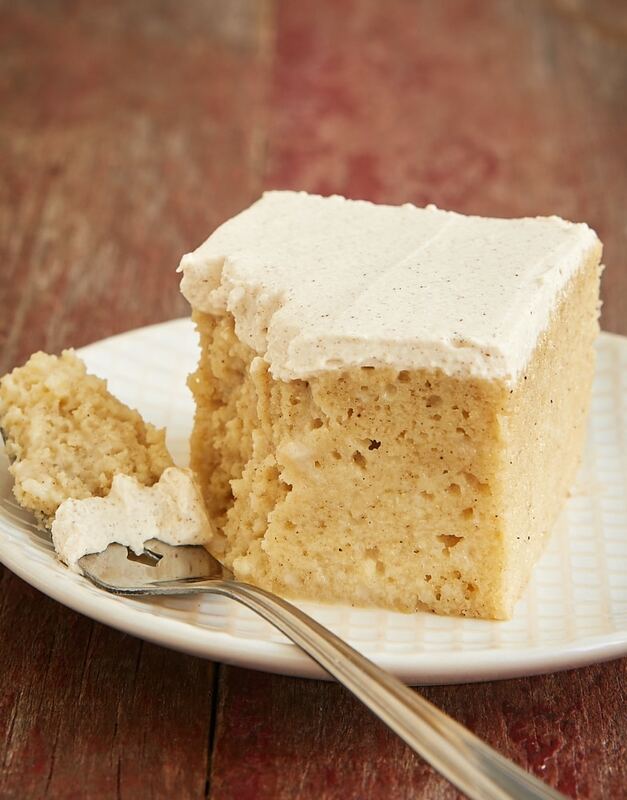 If you’ve ever thought that vanilla is boring, then you should try this Vanilla Bean Cake with Browned Butter Icing. This beauty makes the most of simple flavors in a big way. It’s a perfect ending to a dinner with a few friends or a lovely snack for coffee or tea time. 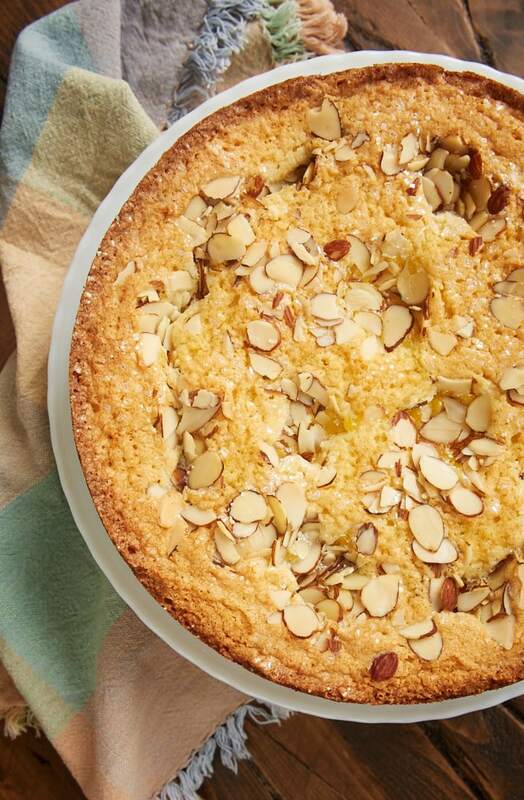 You won’t believe how easy it is to make this Almond Gâteau Breton! 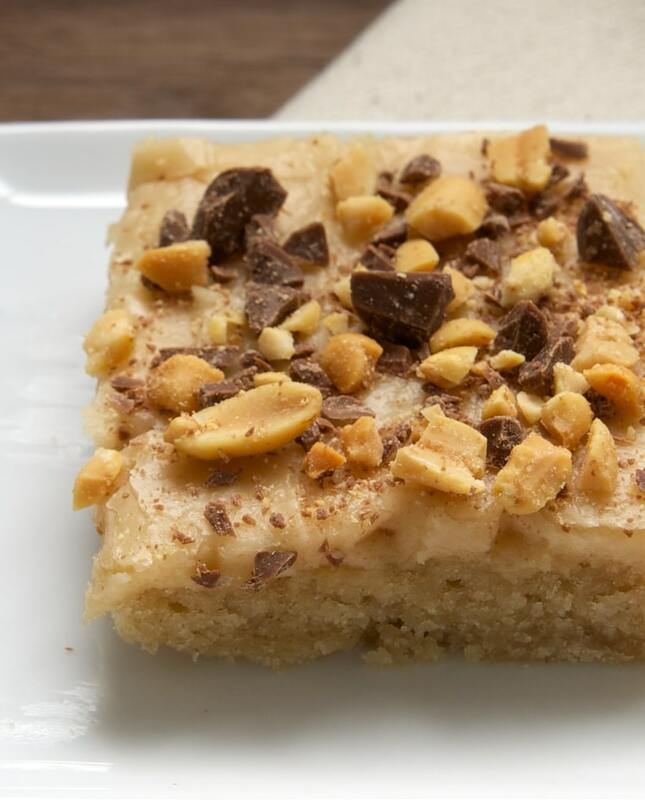 It’s so wonderfully buttery and full of almond flavor. 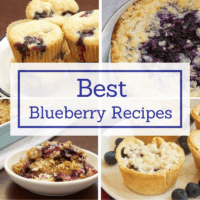 Serve it with a simple sprinkling of confectioners’ sugar or add a quick blueberry sauce if you like. I hope you’re now a believer that single layer cakes can be just as beautiful and appealing as their multi-layer counterparts. And if you’re craving more, be sure to see all of BoB’s one-layer cakes in the Recipe Index. Just what I was looking for! 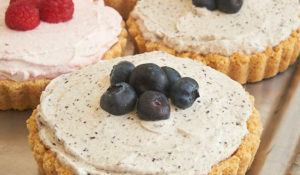 Wanted to have a variety of cakes to offer for dessert without having too much. Can’t wait to try them.